I prefer to bake my bacon at 350F for roughly 20-25 minutes or until brown. 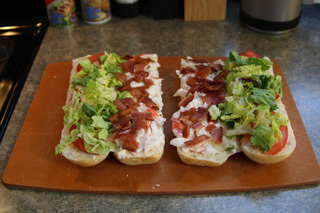 However, any style of cooked bacon will do (i.e. pan fried or microwaved). 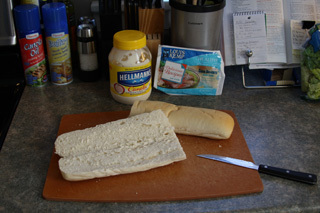 Meanwhile, mix the mayo and chopped seafood in a small bowl. Add pepper to taste. 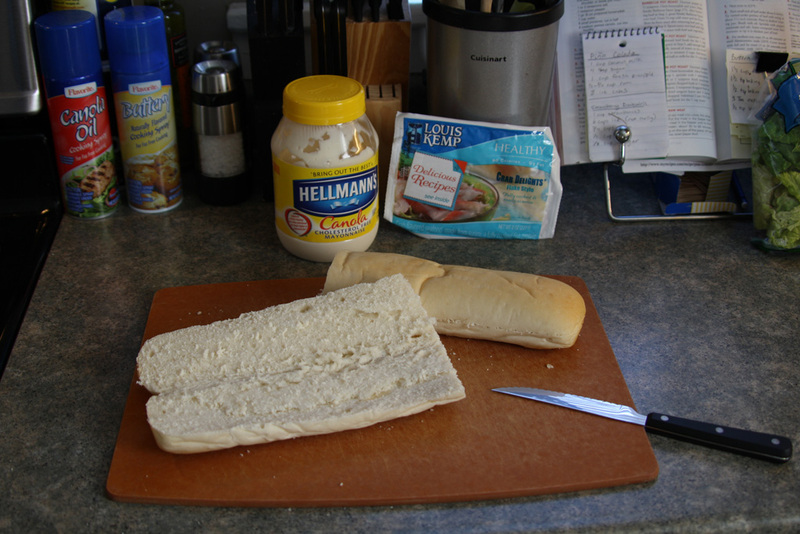 Cut the french bread so that it will open like a sub sandwich. Then load it up with chopped seafood, bacon, lettuce, and tomato. If you desire, feel free to add one of the following cheeses: cheddar, smoked gouda, or swiss. 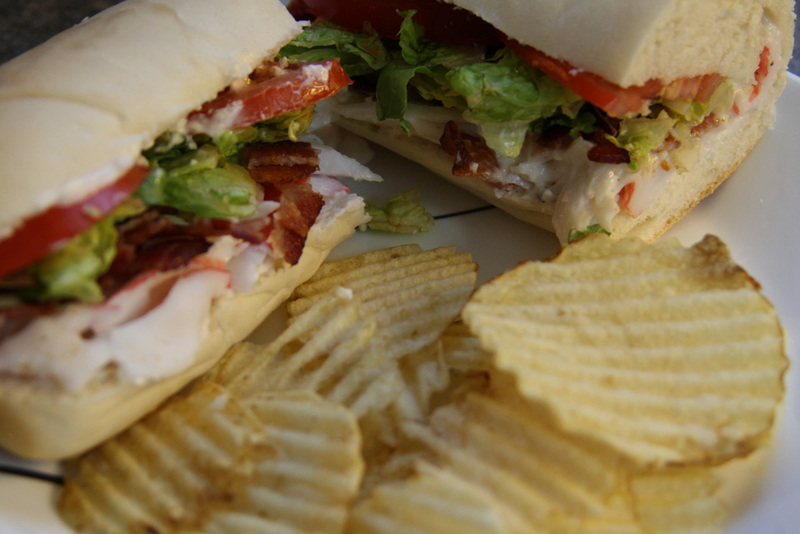 Once your sandwich is fully assembled, serve with a side of chips, a pickle, fruit, or a cup of soup. 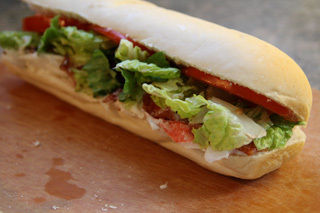 It's the perfect meal for a summer day!